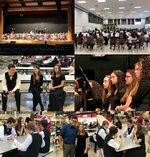 On Friday, February 23 and Saturday, February 24, Five Mid-Carolina High School students attended the 2018 Region Band Clinic at Nation Ford High School. These students were selected through a rigorous audition process back in January. 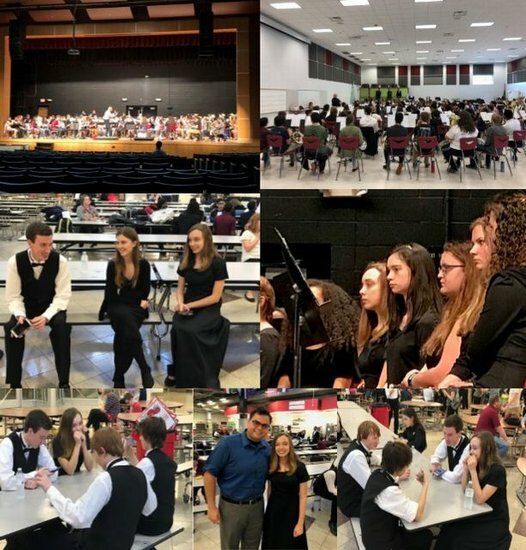 They spent a majority of Friday and Saturday morning learning 3-4 brand new pieces of music they had never seen before to perform at a superior level at a concert held on Saturday evening. They were directed by prestigious directors from around the United States. The Clinic Band conductor was Ron Payne - retired director of bands of Charlotte Latin Schools and the Senior Band conductor was David Starnes - current director of athletic bands at Western Carolina University and former director of bands of Kennesaw Mountain High School.